You are here: Home / News-o / Events / STOCKTON KINGS MAKE PLAYOFFS! 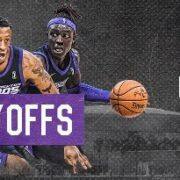 Congratulations to the Stockton Kings for making the playoffs. Their first game is against the Memphis Hustle on March 27th at 7:00pm at Stockton Arena. https://www.smilebpi.com/wp-content/uploads/2019/03/playoff1.jpg 205 500 Patsy https://www.smilebpi.com/wp-content/uploads/2018/11/smile-logo6.png Patsy2019-03-26 12:25:392019-03-26 12:33:25STOCKTON KINGS MAKE PLAYOFFS!